A vast universe that represents unseen and imagined possibilities, the cosmos has long been a source of inspiration and discussion for artists, philosophers, and scientists alike. 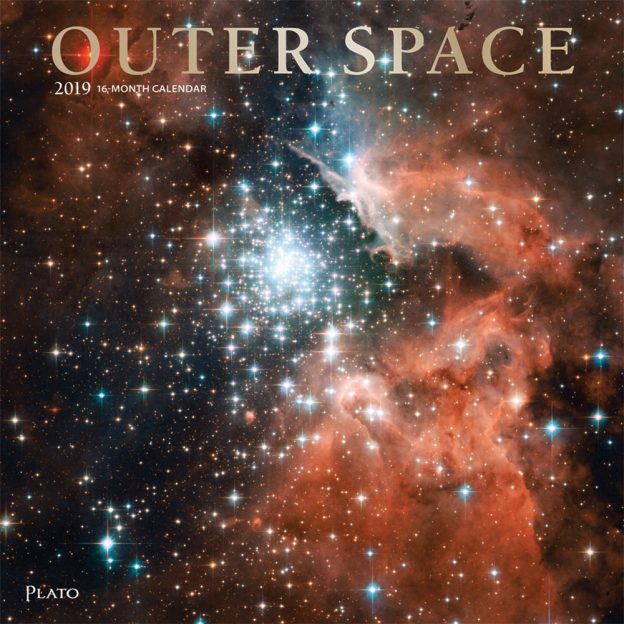 Featuring a collection of breathtaking imagery of heavenly bodies, this calendar will delight and inspire those who like to ponder the big question: “Are we alone?” Expand your mind and take a trip to the mysterious unknown with this Outer Space square wall calendar. This entry was posted in Calendar Showcase, Square on April 6, 2019 by platoadmin.